Good Catholic girls stay out of trouble, but when your father is a hitman for the mafia, trouble comes looking for you. 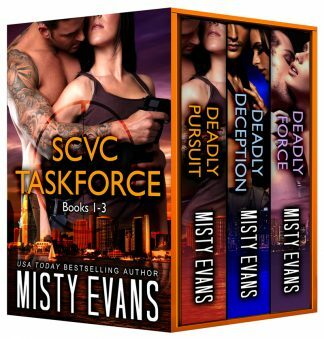 Worlds collide in this mob romance, the ninth book in the SCVC Taskforce Romantic Suspense Series by USA Today Bestselling Author Misty Evans. West Coast FBI Director Victor Dupé’s personal mission is to stand up to bullies and protect the weak. Being a powerful leader, though, has its drawbacks – he must keep his own vulnerable side hidden and not let anyone get too close. He aces that every day, until the first moment he meets Olivia Fiorelli and realizes he’s found someone worth the risk of opening his heart to. US Marshall Olivia Fiorelli has only one goal in life – destroy organized crime. Doing so might help her sleep at night and alleviate the guilt she feels over the murders her hitman father has committed. 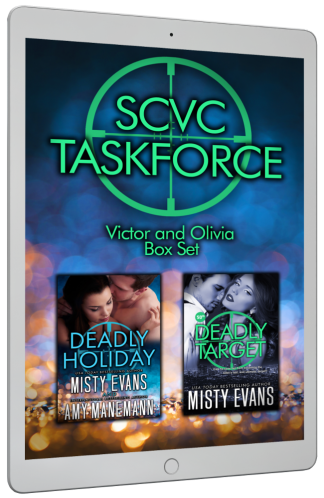 Running a dangerous undercover sting leads her to Victor Dupé’s doorstep – and sets a deadly plot into motion. 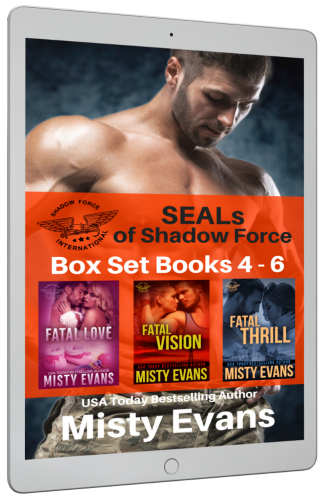 As their explosive desire erupts, the two race against a killer who hides in the shadows, viciously taking his personal revenge on Victor and those closest to him. 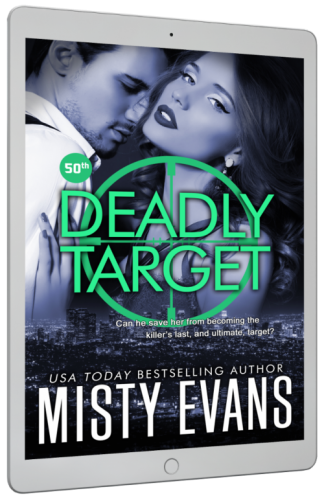 The director has finally found someone worth holding on to, but will Olivia become the killer’s last, and ultimate, target?